By Christopher Comstock, M.D. and Marie Tartar, M.D. By Michael Kipper, M.D. and Marie Tartar, M.D. 6. Diffuse bone metastases, underrepresented on bone scan. By Marie Tartar, M.D. and Michael Kipper, M.D. 1. Solitary pulmonary nodule in the breast cancer patient: primary lung cancer vs. breast cancer metastasis. By Marie Tartar, M.D. and Steven S. Eilenberg, M.D. 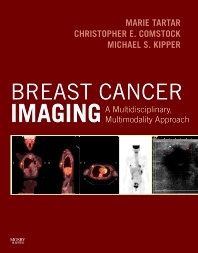 Chapter 12: Multi-system and unusual systemic metastases: Imaging assessment of treatment response, By Michael Kipper, M.D. and Marie Tartar, M.D.